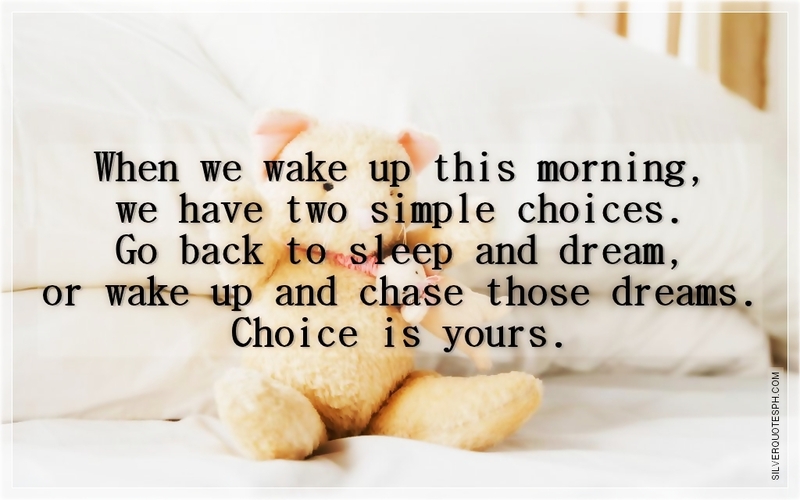 When we wake up this morning, we have two simple choices. Go back to sleep and dream, or wake up and chase those dreams. Choice is yours.